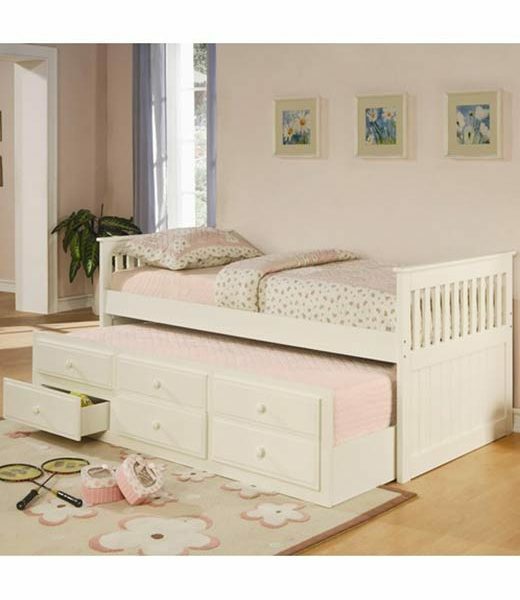 This classic daybed will be a wonderful addition to the youth bedroom or spare room in your home. This piece has great style and function, with clean lines, and simple slatted ends. This piece can provide a comfortable place to lounge during the day, and cozy spot to sleep at night. A convenient trundle below allows you to easily accommodate overnight guests, pulling out simply to provide an extra twin size sleeping space. Three spacious storage drawers below the trundle offer lots of space for clothing and extra linens, so you can make the most of your room. Available in Black, White, and rich medium Cherry finishes, this solid wood captain’s bed will be an excellent choice for your home. 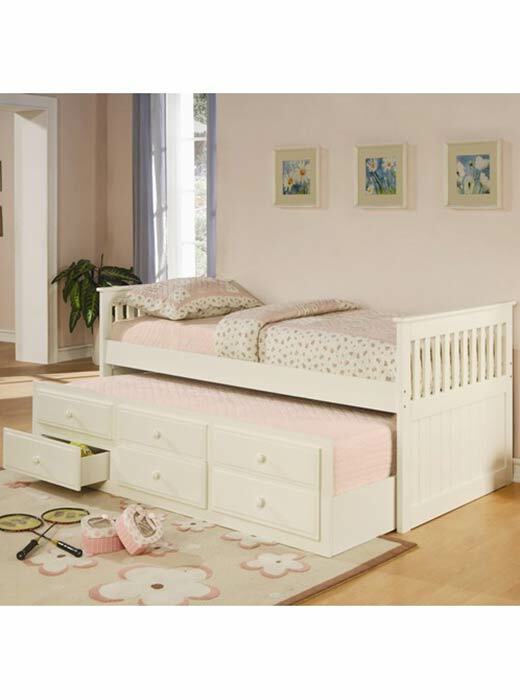 The La Salle collection offers casual and classic style for your youth bedroom or spare bedroom. The simple daybed features a trundle and underbed storage drawers for great convenience, so you can make the most of your space. In a Black, White, or warm medium Cherry finish on solid wood, this daybed will blend beautifully with your home decor. Finish & Paint Options White, Black, or Cherry finishes available. Handles & Hardware Simple wooden knobs. Case Detail Clean lines, straight edges. Case Construction Framed in solid wood.